What is your greatest competitive advantage, and how do you discover it? Have You Ever Felt Stuck, or Ineffective? Remember the Scarecrow in The Wizard of Oz? There he was...up on this pole, in the middle of Oz somewhere to scare crows away from a field. Now, if you remember right, he wasn’t doing a very good job at it. Then, he went with Dorothy on a journey...a journey where he discovered so many things about himself and his friends that led them to places where they never expected to go. Places that made them successful, in their own unique ways. Just like them, you've always had the power - you just need to discover it for yourself. This power I am talking about is YOUR greatest competitive advantage, which is really - YOU. So what is the story of The Wizard of Oz really about anyway? Realizing your potential? Coming home to yourself? Overcoming your doubts and fears? I think that it is really about the journey. It's a journey of personal discovery, because at the end of the story, everybody figures out they were looking for something they already had within them. But, just like us, they didn’t know what it was when they started. Everybody in that story, including the Wizard of Oz, reaches their very own version of success. The real question is… Could any of them have made it to the Emerald City or reached their hearts desire on their own? Could they have made it without the unique talents of each individual? Of course, the answer is no. Everyone played a role in that story. There were crucial moments where each person had to step up and use their unique talent so they could continue on their journey. Can You Accomplish Your Goals Without Taking The Journey? Most importantly, could they have accomplished their goals without taking the actual journey - and can you? 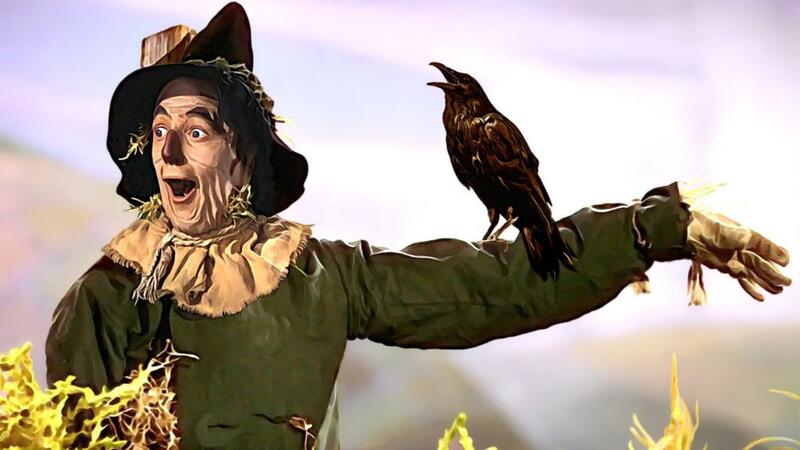 Think back to the scarecrow. As long as he was on that pole, nothing was happening for him. He had to get off of that pole, and get on the yellow brick road before he could reach his destination. This can be tough to do. Many of us are impatient. We want things to happen right away. Keep in mind, however, that we've got to take the journey first. And that’s when we discover within, what our greatest competitive advantage really is. The Value Of Authenticity - Was This An Insult, Or a Compliment? © 2019 Wipp Enterprises LLC | Nicole Wipp.com | The Results Catalyst. All Rights Reserved. Enter your information below, and we will get back with you within 2 business days. P.S. We do not share your information, ever, period.